As Nigeria gets set to host the International Cricket Council (ICC) World Cup Trophy from Monday 11th to Wednesday 13th February, President of the Nigeria Cricket Federation (NCF) Professor Yahaya Ukwenya has declared it a mark of recognition of the growth of cricket in Nigeria, that the country has been selected as one of 21 countries where the World Cup trophy would berth as part of the ICC World Cup Trophy Tour. 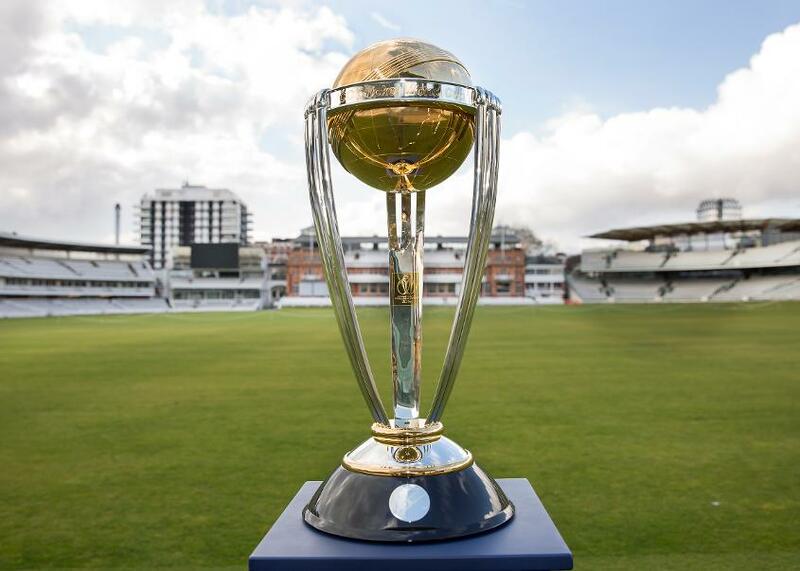 The ICC embarked on a global tour in August 2018 which would see the much coveted ICC World Cup Trophy visit 21 countries and over sixty cities on five continents in what has been described as “the most connected trophy tour ever” in the lead up to the 2019 ICC World Cup finals tournament which will hold in England and Wales from 30 May to 14 July. And for the first time ever, the itinerary of the Trophy Tour includes stops in non-traditional cricket playing nations such as Nigeria, Germany, Nepal, and the USA and Professor Ukwanya says Nigeria’s place on the itinerary is recognition that the current board of the NCF is steering cricket in the right direction. “The major event coming in February is that we are hosting the world cup trophy tour, the International Cricket Council selected Nigeria as one of the global destinations for the World Cup just like we saw in football. “I think it’s a major recognition for us [that] on 12th and 13th we will host the World Cup trophy in Nigeria, the two cities that will host it are Abuja and Lagos so on 12th we would host the trophy in Abuja and on the 13th we will go to Lagos before the trophy will depart from Nigeria from [the] Lagos International Airport,” he told busybuddiesng.com. Professor Ukwenya also pointed out the many achievements and recognition afforded the country by the ICC since the inception of the current board to the helm of the NCF as “an endorsement” of the current board of the NCF’s commitment to grow the sport in Nigeria. “The ICC gave Nigeria an upgrade in terms of ranking, national rank – there are 2 kinds of ranks the playing rank and the rank that is related to the growth of the game in your country, in the growth of the game, we have been moved from where we were D to B which was significant and also approving us to host the trophy tour is [an] indication that we are moving in the right [direction]. Meanwhile, the ICC has announced that the World Cup Trophy would spend an extra day in Nigeria following the removal of Kenya and France from the list of countries originally scheduled to play host to the trophy. The trophy will now berth in Abuja today before making its way to Lagos on Wednesday. The trophy is expected to begin its European tour in Belgium on 15 February before making stops in the Netherlands on the 16th, Germany on the 17th and 18th and then on to England and Wales on the 19th for a hundred day domestic Trophy Tour as part of the build-up to this year’s World Cup finals tournament.